Morgan is a young Canadian mom who launched The Garment, a beautiful project that connects ethical brands and women who want to buy less but better. She defends the idea of a respectful fashion, accessible to all. 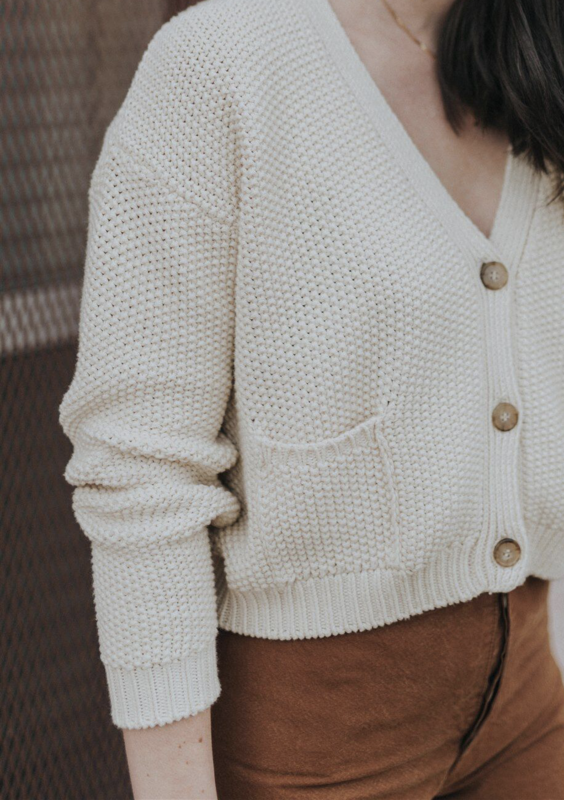 For our second collaboration, we launched a cardigan with our brand new organic undyed cotton. The MARGARETTE is a short cardigan with a resolutely modern shape. The stitch and the contrasted buttons give it a striking look.